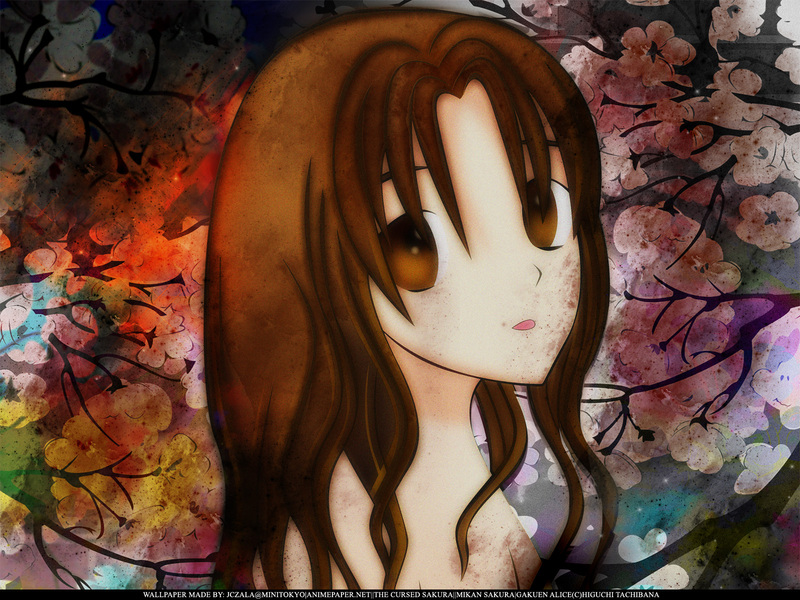 A Gakuen Alice wallpaper featuring Mikan Sakura. I vectored the image from the Chapter 115 cover, which features other characters as well, but I only focused on Mikan because she's my favorite. I find her expression very solemn and she looks very mature, not to mention beautiful. I wanted a grunge wallpaper, so I got messy with the brushes to make the background. I added cherry blossoms to complete it.